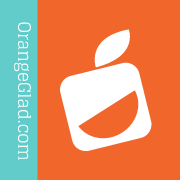 OrangeGlad is, "The Gourmet Dessert Marketplace." They offer unique sweets via a monthly subscription box service for foodies and aficionados of creatively delightful palatables. And, they are on a mission. The mission of OrangeGlad is to offer the best desserts from coast to coast, delivered. We've tried a few of the boxes in the past and the offerings were always a joyful surprise. We had never experienced such things. We had never seen any of these items offered elsewhere. They're out there, though and OrangeGlad brings them to your very doorstep. As of the first of this month, OrangeGlad has revamped ordering processes and lowered their rates. The monthly sweet box is now offered at $15.00 plus $4.00 for shipping. The double treat box is $27.00 plus $4.00 for shipping. The 3/6 Month Plans have been abolished so that all may enjoy the lower rates. Yes! OrangeGlad did it. They made an excellent and delightful service even better. And cheaper. Funny. Cheaper is one of our favorite prices!